It looks nice. Where is this? Melbourne, out outside of southern cross station. 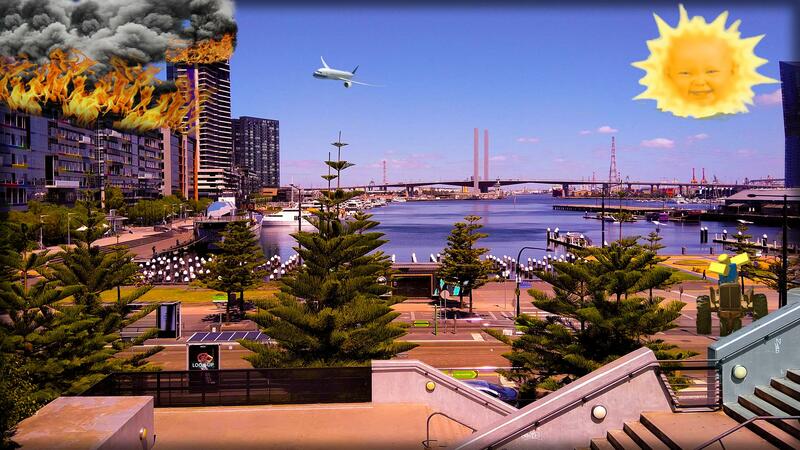 This might happen once Melbourne temps begin to rise back into the 40+ degrees celsius range again. @Dave84311 you gonna put up with this???? Seriously? You are not normal I guess..
can someone edit this picture? [Request] can someone edit this kill mark?